Today I have the unfortunate duty to announce the resignation of Rear Admiral Anatoly Grankin from the position of Pegasus Fleet Director of Resources. I have the following statement from Admiral Grankin. "Good welcome to all. It is with a heavy heart, and no small amount of regret, that I announce my retirement from the position of Resources and Fleet Research. In my lenghty time in the department, my one hope is that I have hopefully inspired others to think, to expand, and to consider contributing to the Fleet in something of a permanent manner. To make their mark on the world as a whole. To those that I had the privilege to work with, I only hope that I was able to inspire good writers to become great writers, and to inspire great writers to help those who feel they aren't living up to their potential to realize that within us all is that spark of creation. That drive and desire to become more. To that end, that is the very motto of the Research and Development department. To expand, to become more. I leave that motto, and that mission, in the hands of the next generation. To them, I entrust our hopes, our dreams, and our universe. For while they are the shepard, the Fleet must always advance. Must always grow. I thank you all for this time that we've shared together. I've been part of the Resources division for years now, and it feels like a small eternity. I'm glad to have shared this eternity with you all." I'd like to thank Admiral Grankin for his time in the Pegasus Fleet Admiralty and for his wonderful words above. He's been a great part of our team, and a fixture of our community. Admiral Grankin will continue to serve aboard his sims, and I'm sure will still be quite active in Discord as @CorCordale. We look forward to seeing you around. Admiral Grankin has agreed to stay in his position until the position has been filled. As with any time a member of the fleet staff leaves, an opportunity presents itself for a new member of our community to step into their place. At this time we are now taking applications for Director of Resources. Besides serving as a member of the Pegasus Fleet Admiralty, the Director of Resources will serve as the Fleet's gatekeeper for canon, technology, and civilizations. The ideal candidate is someone with strong writing ability, attention to detail, active imagination, and a decent understanding of the technology of Star Trek. With any staff position, strong communication skills are key. Interested members of the Fleet may apply for the position via the link below. Applicants will be required to submit examples of their work as part of the application process. For the ship class assignment, we are looking for a set of specifications for the Ares-class Tactical Strike Cruiser. 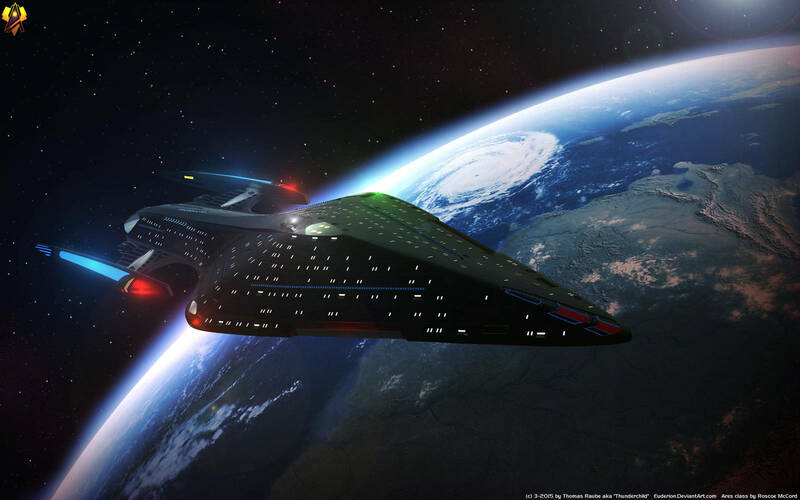 An image of the Ares-class is shown below. The specifications should follow the format shown on the Pegasus Fleet website under Ship Specifications. Additionally candidates must provide an article about an original race of their creation. The PFA will begin reviewing applications on February 11, so be sure to have your applications submitted before then. Any questions on the application can be addressed to me, but the submissions must be the original work of the applicant. Good luck to all the applicants.